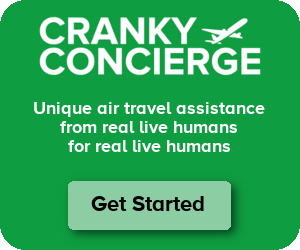 I had to let someone go from Cranky Concierge last week, and it was a difficult experience. Brett, as a fake real attorney, I am kind of disappointed you would advocate using an attorney for this. Five minutes of googling should have given you the answers you needed. The only time attorneys should be used is when googling leaves you confused or you are only paying the attorney roughly what you normally make yourself to google. Certainly complicated contracts, death penalty cases, and patent law leaves plenty of work for attorneys. There are times when talking with someone about a decision makes the issues clearer and makes you feel better. Think about the attorney as therapist. Practically, there’s no guarantee a Googled answer is complete, a (paid) answer from a lawyer comes with a warranty. He starts the column by saying he’s not familiar with how to do this properly. I’d probably talk with a lawyer in that situation, too. Next time the situation comes up, he won’t have to. Sued by an employee after doing “everything by Google”. For what it’s worth, an attorney would have been cheaper. Lawyers don’t offer warranties. If the employee had a valid claim, the case is unlikely to turn on the how the dismissal itself was conducted. If you are going to get sued, you are going to get sued. What is the other option? Keeping the person employed to create some pretext to avoid a suit later? I see why so many lawyers remain in business–I think Mark Twain had the best quip regarding that. Ironic (or coincidence? ), I should have paid a lawyer to google for me. I was thinking “sucker born every minute”, (mis)attributed to Barnum. Side note: Since many average mind’s like mine are lawyers, I tend to trust geniuses like Brin and Page much more. As a business owner you will have to do that again sometime and many a lot more times over the years. Other then the legal part of it having to be followed, the personal thing you need to do is take the ‘personal’ out of it. It’s business so it must be treated as such, and if you make it as cut and dry as possible, it can help a lot for both sides. So nice of you to let the person still have access to their mail. One thing you can do in the future if this happens is to lower their mailbox size limit to Zero. What this does is still give them access to their email but blocks them from sending anything from the company account. Just gives you a little safety just in case the person does flip out and tries to send nasty messages from a company account. Been there so many times. Terminating someone is hard, lots of protections you have to give yourself, and then the actual act of telling the employee. Always do it respecting the dignity of the person being terminated, dignity goes a long way. If you’ve given honest feedback along the way, it’s unlikely the person is surprised, and that’s for the best. Being dignified, speaking quietly and calmly, and treating them the way you’d prefer to be treated if the sides of the desk were flipped go a long way towards making the process better. It does get easier when you do it more times, but it should never be easy (IMO). I’m glad you took it seriously and that you acted in the best interests of your customers… and ultimately, the other employees as well. I’m getting a 404 Error on that link–is anyone else? Grover – It’s not just you. It appears to be a site problem with Small Business Center. A few columns aren’t showing up now, so hopefully it will be fixed soon.